If you’re looking for a Honda dealership with a vast selection and a knowledgeable sales team, you’ve come to the right place. At Patty Peck Honda, our salespeople are not sharks; rather, they’re experts in all things Honda. To put it simply: they’re here to help you find the Honda model suited to your personal lifestyle and vehicle preferences. 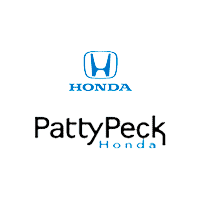 At Patty Peck Honda, we offer appealing monthly Honda specials and service coupons to make buying and maintaining your vehicle a breeze. If you’ve come upon us by searching “Honda showroom near me,” give us the chance to prove why we’re the best in town. Whether you’re looking for a sporty compact Fit or a spacious and stylish Civic, Honda is bound to have a sedan model for you. From Hybrids to hatchbacks, all you have to do is pick your poison. If you’re in the market for a spacious or family-friendly vehicle, you’re likely considering one of the above options. While all of the above models are ideal for trekking the kids and/or all of your belongings around town, the one that’s best for you will come down to personal preference. The Pilot is the largest of the three, while the CR-V sits somewhere in the middle. As for the HR-V, this bad boy boasts a more fun-sized aesthetic; it’s compact size and full-length contoured body lines create a youthful allure. If you’re hauling heavy equipment, the Honda Ridgeline is the pickup for you. Built with technological innovation, mechanical supremacy, and safety at the forefront, the Honda Ridgeline simply outshines leading competitors. Unlike many pickups, it’s not just strong…it’s smart. As for the Odyssey, this is the perfect vehicle for large families. A bit more stylish and sporty than the average minivan, it can transport the cast of Cheaper by the Dozen…in style. If you have any questions, feel free to contact our Ridgeland Honda dealer serving Jackson, Madison, and Flowood at 601-957-3400. We may have started as a simple “Honda dealer near me” search; however, we’re hoping to become the Honda dealer you rely on.